How do we use good science to be better teachers? How can learning evidence-based teaching methods make us better scientists? These are questions that I explore every day as both a teacher and learner myself. Through both formal scientific investigation as well as everyday classroom practices I am working to incorporate evidence-based teaching methods to create rigorous, inclusive, and effective classrooms at UCSC. I am honored to be working with several excellent campus partners, and with support to UCSC through HHMI, to study current teaching practices as well as apply evidence-based methods to large lecture and active learning courses. In addition to teaching, I also run the Marine Mammal Stranding Program and mentor undergraduates through several different programs. Learn more about getting involved in our early field research experience program, Survey Slugs, becoming a stranding volunteer, or read more about potential senior thesis opportunities here. Active Learning activities and resources for large and small courses of all disciplines. 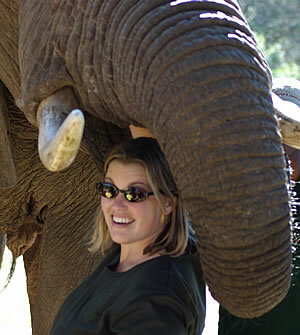 Read more about my research on the cost of vocalizations in cetaceans and thermoregulation in elephants. Learn more about ways that undergraduates can get involved in research with the Dunkin Lab.